Deb Tesch, 2nd grade teacher at Elm Grove Lutheran, joined God’s family when she was baptized in Nebraska’s oldest LCMS church, Immanuel Lutheran, in rural Beemer. Her elementary education was in the 2-room school across the road and she grew up on a farm a half-mile down the road. She was a West Point Cadet…no, not the army academy, but attended West Point High School in West Point, Nebraska. So how does a Nebraska farm girl end up teaching here in Wisconsin? Influenced by her teachers in that small Lutheran “country” school, Deb aspired to be a teacher very early in her life. After participating in grade school “Talent Fests” at Concordia Teachers College in Seward, she knew where she wanted to attend college by 8th grade. Deb has always been active. She was a 4-H member and in high school added participation in FHA and Pep Club, often holding offices in these organizations. She loves sports and was on the volleyball, basketball, softball and track& field teams. And, yes, she was a Sunday-School teacher and active in Walther League (youth group), too. At Concordia Teachers College, she earned her education major with a P.E. emphasis while also playing varsity volleyball and softball. God knew His plans for her then already and led her to opportunities in Phi Epsilon Alpha (women athletes’ club) to organize a grade school basketball tournament and also as the head of intra-mural sports on campus. After student teaching at Christ Lutheran in Norfolk, NE, she graduated with a Bachelor of Science degree in 1978 and accepted a call to teach at Pilgrim Lutheran School in Wauwatosa, Wisconsin. God’s plans for her continued as she taught 4th grade and coached the girls’ teams in all of the sports. She met Robert Tesch, who had been baptized and confirmed at Pilgrim. They added getting married at Pilgrim in April of 1981. After four years of teaching, Mrs. Tesch took “time off” from teaching during which time their sons were born, Josh (1983) and Justin (1985). After four years, Deb returned to teaching at Pilgrim, this time for 15 years of teaching first grade and coaching. She added library duties in the early 90’s and became the Athletic Director in 1994. She also served short terms of Youth Director and Sunday-School teacher and sang in the church choir. In 2001, Elm Grove Lutheran extended a call to Mrs. Tesch to teach 3rd grade. Within months, Athletic Director was added and when needed she has coached, too. As the school’s dynamics changed, Deb adapted. She only taught 3rd grade one year, then taught social studies and a literature class in middle school for two years and has now settled back into the primary grades, teaching second grade since 2004. She sang in choir for a few years, but found the A.D. and coaching duties occupying much of her time. 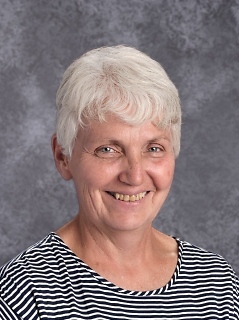 As of the 2015-2016 school year, she no longer has the A.D. duties, but still served on the MLESAA league board as statistician until 2018...a position she has held for “more years than I can count” and she still puts together everything for the MLESAA track meet in May. She currently serves as the SCRIP (fundraiser) Coordinator for the church and school, so she can answer any questions you may have about that.